What a week this has been! 5.9 earthquake complete with felt aftershocks followed by hurricane Irene. 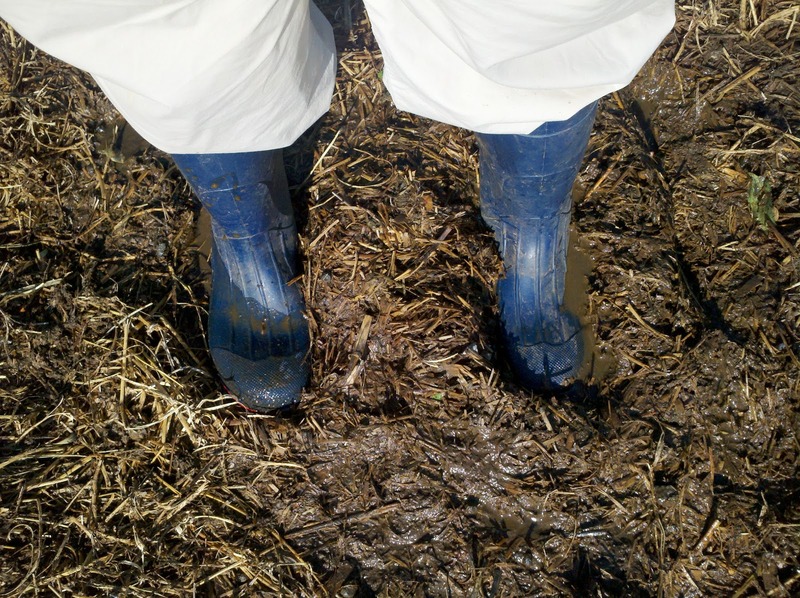 We are thankful to report that all is well on the farm - no harm done to any animals or structures (just a few rattled nerves). And we have added, the much needed rain, to our thankful list! It seems to all happen at once around here. 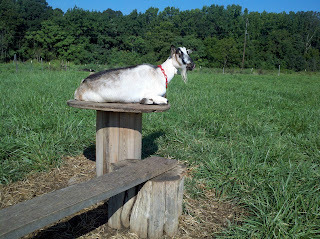 Ziggy the very smart goat, found a dry spot to enjoy the sunshine! We are delighted with this week's forecast...sunshine, sunshine, sunshine! And the cooler evenings remind me that Fall is in the air. Our bucks are starting their rut and the girls are laying it on for them - the breeding season is just around the corner again. We have a couple of lovely French Alpine bucks for sale, they'll be ready to be herd sires soon. You can check them out on our For Sale page if you're in need of a sweet boy for your girls.